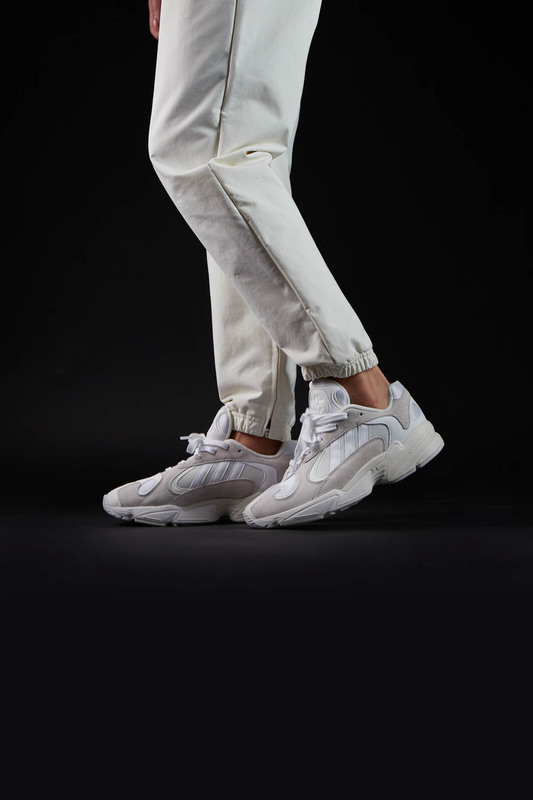 Following up on the release of our recent ‘Acid House‘ pack, another adidas Originals YUNG-1 hits the spotlight, this time in a stripped back ‘Ivory’ colourway. 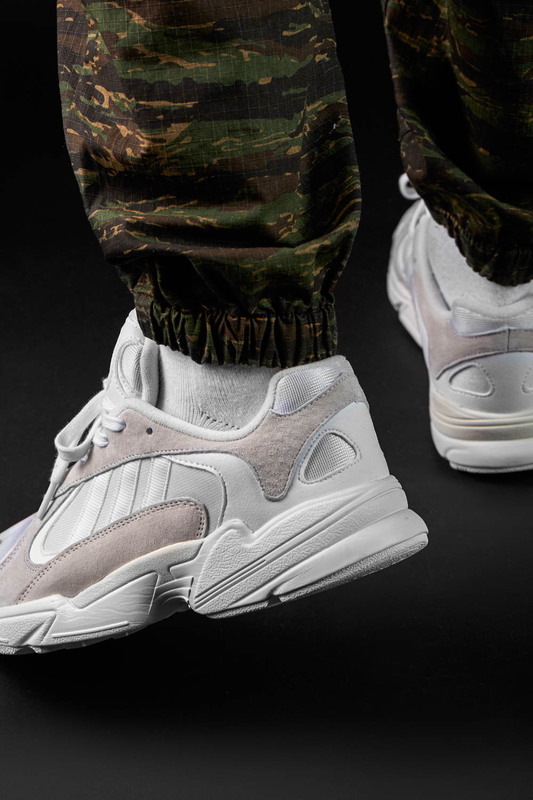 A reconfigured version of the original Falcon Dorf training shoe from 1998, the updated YUNG-1 is strikingly accurate in appearance as far as retro-releases go, albeit with a few branding tweaks that take the shoe away from the performance category and bring it into the Originals family. The first time around the Falcon sat in amongst an assortment of memorable shoes from the same era, including the Galaxy in all it’s different iterations, and runners from the iconic Equipment range. 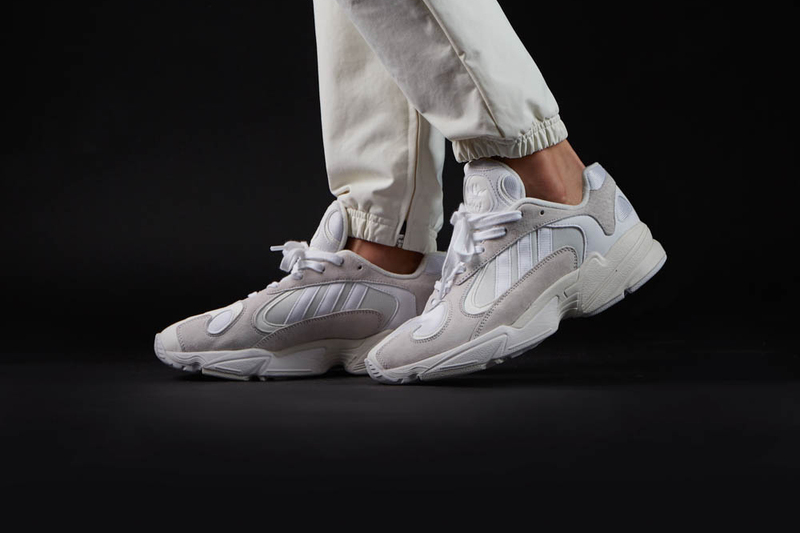 Removing all colour except for a slight grey tone on the mudguard, the YUNG-1 is presented in an all white suede, nubuck and mesh colour-up. The lighter tones really show off the shapes and curves of the original Falcon-Dorf, replicated almost exactly aside from the obvious branding alterations. 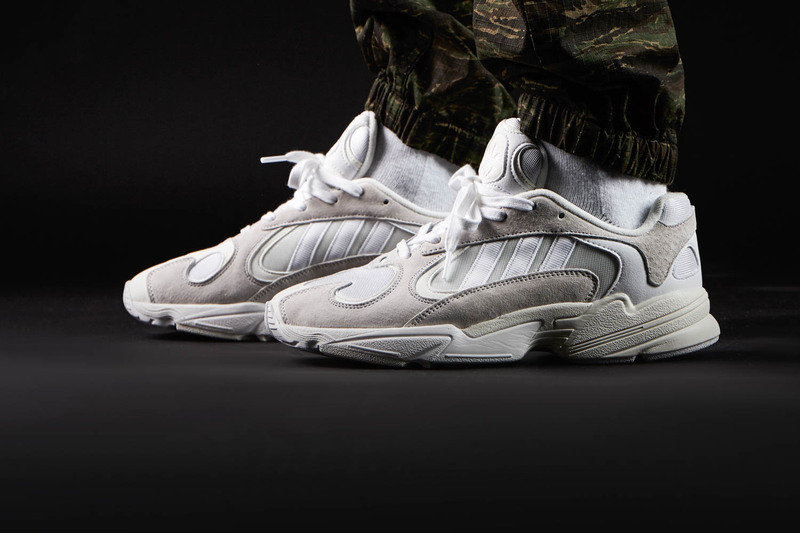 The adidas Originals YUNG-1 ‘Ivory’ will be available via the size? 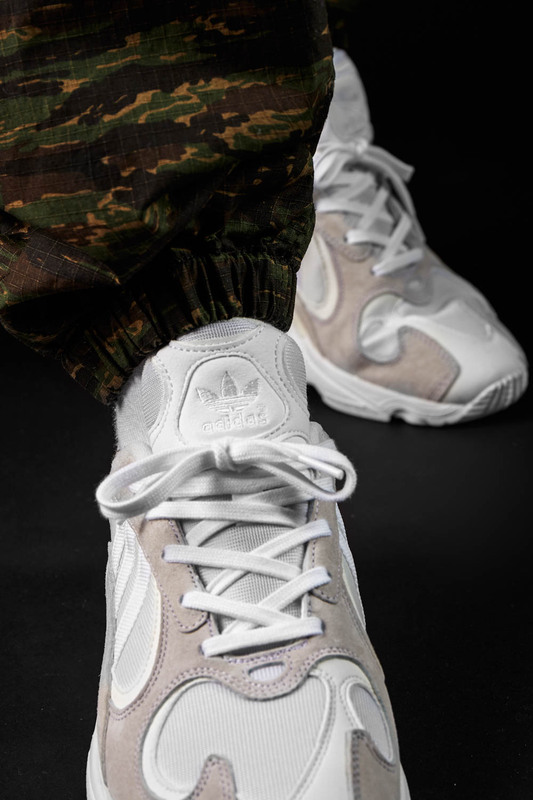 previews app and in size? stores on Thursday 13th September, priced at £100.